At Century 21, we are committed to understanding our customers' personal goals and needs; providing our customers with service that is The Gold Standard. The gold standard is universally recognized by all cultures as the ultimate symbol of quality and security. Just as the gold standard is understood by all cultures, the agents of John Anthony Agency understand the values and needs of people of all cultures. The key to their success lies in the diversity of agents collaboratively working to sell the American dream. 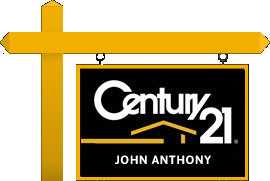 Located at the crossroads of New Jersey in northern Middlesex County, the agents of John Anthony Agency in Edison, New Jersey are as culturally and ethically diverse as the customers they tirelessly serve. Agents in the office are native to China, India, Indonesia, Italy, Korea, Philippines, Thailand, and Vietnam. Although they have come from all parts of the world, they are all involved members of the community and bring with them the knowledge of what their future neighbors will look for in their next home. The ability of the agents to make people of all backgrounds feel comfortable when they call or visit John Anthony Agency is truly an asset to everyone in the office. Through ads in their native language in community newspapers, they have helped to introduce all the agents in the office to customers that they ordinarily would never have an opportunity to serve. Diversity at John Anthony Agency has educated all the agents to the individual values and needs of the various cultures that call central New Jersey home. As the agents work together to make the American dream of home ownership a reality for our future neighbors, their collaboration is breaking down cultural division as we begin the 21st Century. Congratulations on yet another remarkable year. In 2017 your company had 5 award winners! Your sales production and business growth is nothing less than incredible. It’s your relentless pursuit of the extraordinary, giving 121% and being obsessed with better that is helping the CENTURY 21® brand to be the first choice for real estate consumers and industry professionals worldwide. Please know that I will be sending two e-mails to your award winners: the first to personally congratulate them on their 2017 awards and the second to let them know about the events and opportunities available to them as 2017 award winners at the One21® experience. To see a complete listing of all your award winners, please refer to the Preliminary Designations Report, which can be found in dash under Business Intelligence > Reports > Awards Reports > C21 Preliminary Designation. Before I go, let me encourage you to start planning to attend the next One21 experience this coming March 11-14 in Orlando, Florida. There’s no better time and place to network, to learn, to share best practices and to engage with our Brand than at this annual gathering of C21® System members, literally from all around the world. It is a terrific opportunity to get to know us – and for us to get to know you – as together we celebrate your company’s overall achievements, and those of our iconic brand. Register today at century21events.com.